What would we do with an extra hour in the day? We’d knit, of course! Elizabeth Bagwell gives you tips for finding extra knitting time. 2. Take a knitting project wherever you go. 3. Scatter knitting about the house, so there’s always something to hand. 4. Don’t tidy up – you need the yarn where it is, thank you. 6. 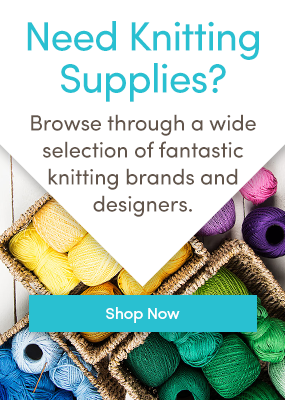 Join a knitting group – or two! 7. Join a car pool. 8. Say ‘no’ as often as a toddler does. 9. Get a dish washer. Remember to thank them occasionally! 10. Learn to knit while you walk. 11. Volunteer for chores that involve queuing. 12. Use computer voice chat or the speaker phone button. 14. At the gym, try the stationary bike, instead of rowing or swimming. 15. Tell your friends that what you really want for your birthday is for them to make you dinner. And yarn, of course! 16. Volunteer for work trips, particularly by plane or train. 17. Take up watching football. It’s important, right? 18. Make your commute a bit longer. 19. Start following the Olympics, Tour de France, Americas Cup or Orange is the New Black. It’s an important cultural event that you’d be sad not to knit through. 20. Stick a straw in your drink. 21. Switch to ready meals and paper plates. 22. Volunteer to teach a friend to knit. 23. Take your knitting to work. 24. Get a job where you can knit at work! 25. Switch to books on tape, so you can read while you knit. 26. Learn to knit without looking at your hands so you can knit in the cinema or while reading a work document. 27. Commit to experimental housework. Does dust really stop piling up after two weeks? Can you clean vases in the dishwasher? How will we know unless someone investigates? 28. Never put off until after just one more row what you can put off until after just one more sweater! Any more ideas? Tell us in the comments! Last updated: September 9th, 2014. Why is knitting so addictive and exciting! I often find it hard to sleep if i have been knittng before bed, i’m too happy or exhilarated!! Weird ey? My daily commute is between two and two and a half hours long in total. I knit on the bus and on the tube – so long as I can get a seat!